Handy, integrated 3-level LED light system. 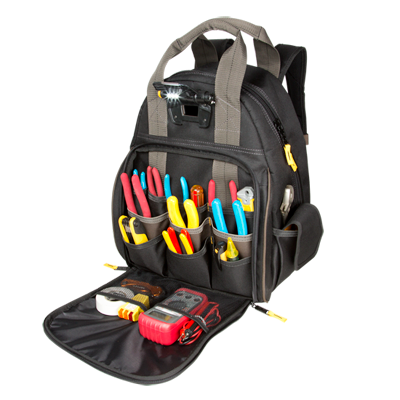 Light swivels and can be easily directed at work area or into backpack to help identify tools and parts. 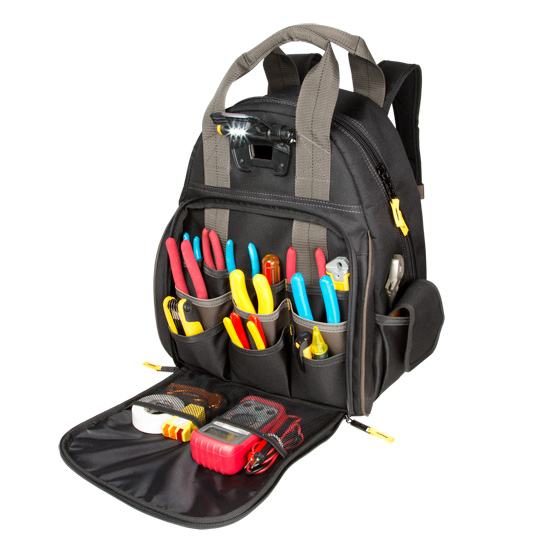 Pockets inside and outside to organize a wide range of tools and accessories. Reinforced carrying handles and adjustable shoulder straps.